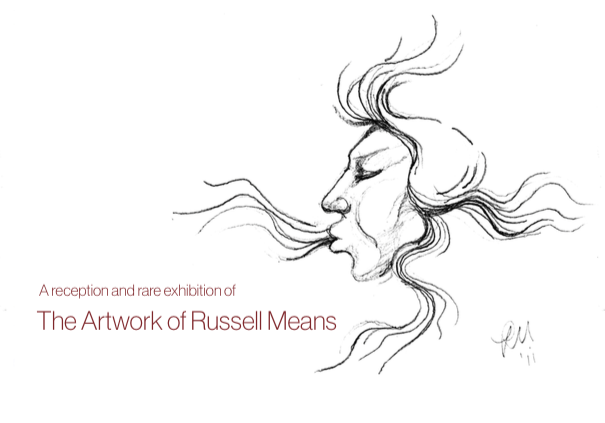 EIU President Bill Perry invites you to a special exhibition and wine and cheese reception in appreciation of The Artwork of Russell Means. EIU Anthropology Professor Don Holly will speak about Mr. Means and the context and importance of his artwork. Please RSVP by April 6 to Tonya Green at 217-581-5180 or by email to tlgreen@eiu.edu. An American Oglala Lakota activist for the rights of Native American people and libertarian political activist, Russell Means became a prominent member of the American Indian Movement (AIM) after joining the organization in 1968. He helped organize notable events that attracted national and international media coverage. The artwork exhibited at the reception is on loan from EIU Alumnus Dr. Gordon Grado and his wife, Mary. Both are long-time admirers of Russell Means and recently acquired the artwork from the Means estate.